Front door - Hello, may I ask the supplier and colour of the front door please? Hi, the wall colour is Dulux Dieskau and the windows, door and lacework are Dulux Lexicon Quarter. Guttering is Colorbond Monument. 17. 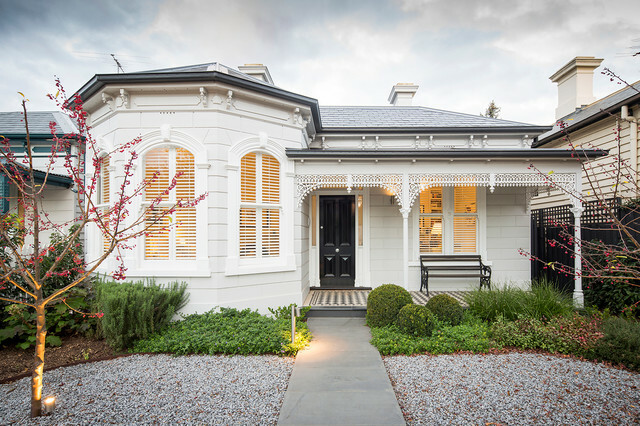 Location: Armadale, VictoriaWhy we love it: From the front, this heritage beauty is sure to attract admiring glances from passersby.